For centuries before and after the European colonization of the Mid-Atlantic region of North America, fishing and shell fishing, using traditional methods fed the people of our Bio-region. There are still remnants of that hook and line, passive fishing gear, clamming and oystering, pound nets, dory and net surf fishing, and small trawler fisheries throughout the region, however those fisheries have been diminished as a result of pollution and over fishing. 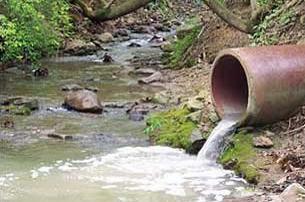 As the regional waterways become cleaner, mainly as a result of the Federal and State laws and regulations like the Clean Water Act , the Resource Conservation Recovery Act, and “Super Fund” or CERCLA (enforced in part by Waterkeepers and other organizations like the Natural Resources Defense Council), sewage discharges, contaminated sediments, and “combined sewer overflows” are being addressed, starting to make our local waterways “fishable” again. It is imperative as we transition to a “post carbon” future that those discharges be reduced and eliminated, so that the fisheries will begin to recover and these traditional and artisanal fisheries will once again be a resource for feeding the Bioregion. Unless the current situation improves, stocks of all species currently fished for food are predicted to collapse by 2048. 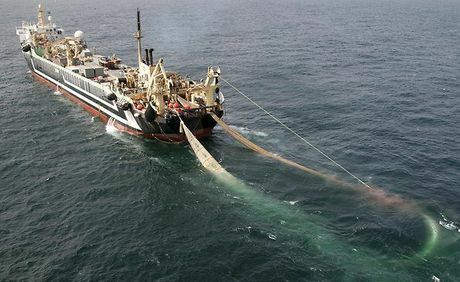 In the US, fishing is being consolidated under corporate control…..companies such as American Seafoods, Trident Seafoods, and True World Foods (owned by the Unification Church) have transformed fishing into a “global extraction industry. They have made fishing “not about a way of life,” or about feeding people and providing economic sustenance for local coastal fishing communities, but rather about “making a good rate of return on their global investment capital. However not all the news is bad. Standing on the banks of the Passaic River with Robert Kennedy Jr. on a blustery fall day in the late 1990’s, we talked about how pollution has robbed families of a valuable right – to enjoy a day of fishing and eating their catch from the waterway nearest their home. The same could be said about traditional commercial fishing on the Hudson and other water bodies in the Mid-Atlantic Bioregion where the present generation of fishing families cannot fish where – and – how the generations that preceded them could. Retaining “know how” over the gap of time it will take for the water to be clean enough and the fish plentiful enough to revitalize this traditional knowledge base will be the work of Transition. There are places where traditional fishing is still practiced, and fishermen have the knowledge to pass on. From Maine to the Carolinas, fishermen and the communities in which they live are starting to “take back” the management of their fisheries. Commercial fishermen long thought of as “ocean rapers” and “bottom scrapers” are at the heart of a “community based fisheries management and science movement, and community supported fisheries. With the constant changes in the life of fishermen, one place where they can begin to take back some control is their relationship with those who eat their catch, the price they get paid for their day’s work and the food systems into which their catch enters. It makes no sense any more to pay fishermen a price that doesn’t cover their real cost of operation while the consumers are paying much more than they should for packaged, frozen or days-old seafood trucked hundreds or thousands of miles when it was caught steps away from our homes. In addition to getting fishermen a better price for their catch, Community Supported Fisheries allow fishermen to have a conversation with seafood consumers about the entire food-supply-chain process of what swims in the ocean to what lands on our plates. Who knows better how to manage the fisheries of the commons? Should it be some agency from far away or the fishermen, their communities, and the scientists working with them to develop a sustainable fishery? 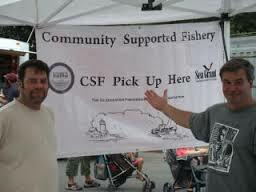 Community and Regional Fishing Associations (CFAs and RFAs), as provided through the 2007 Magnuson-Stevens Fishery Conservation and Management Act, (MSA, section 303A) present opportunities for reasserting the role of fishing communities in the pursuit of economic, social and environmental success through the implementation of catch share programs that foster resource and community sustainability. CFAs/RFAs can effectively act as Trusts, holding limited access privileges (catch shares) to anchor access to fish in a community, and could lease catch quota or other access privileges to individual fishermen. To deliver programs and services that local fishermen need now to succeed and adapt to changing fisheries. To educate and support the next generation of fishermen, managers and scientists using new tools and approaches. 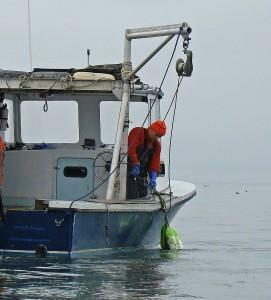 To establish a pilot program fisheries are co-managed on an ecosystem basis by a collaboration of federal and state government, scientists and local fishermen.